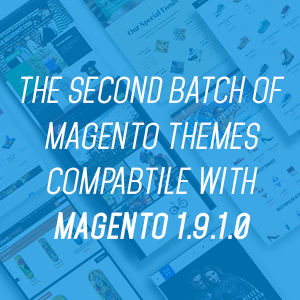 8 Responsive Magento themes have just been released today for our second batch of Magento 1.9.1.0 upgrade with a number of bug fixes. In case you missed, here is a number of key features in this Magento version. 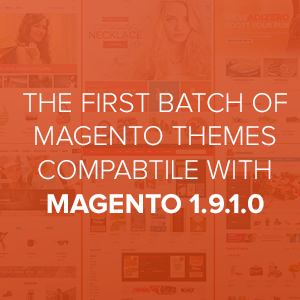 Oct 25, 2016 Update: Our 27+ themes have been upgraded to the latest Magento 1.9.3.0. If one of the themes in the list was used for your project, we highly recommend you check out this important update to keep your site up to date. 7 Responsive Magento themes have just been released today for our first batch of Magento 1.9.1.0 upgrade with a number of bug fixes. In case you missed, here is a number of key features in this Magento version.